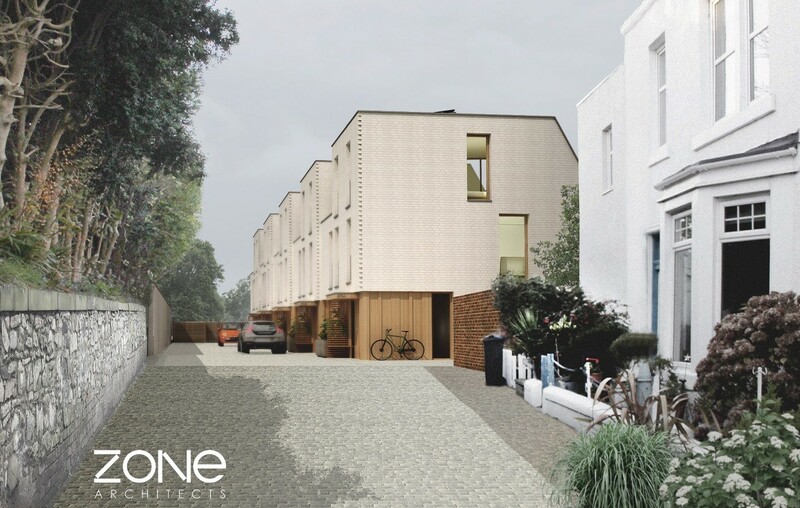 Zone Architects have secured planning permission on appeal to the Scottish government for the construction of five terraced houses within Edinburgh’s Trinity conservation area. 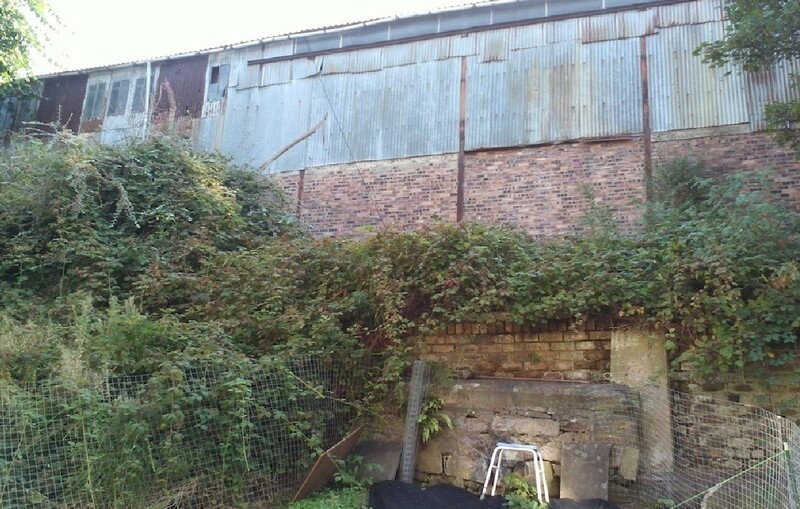 Replacing a rundown garage, latterly used as an illicit cannabis farm, the £2.5m scheme will see retaining walls and drainage rebuilt to accommodate the new homes on a tight sloping site off Lower Granton Road. 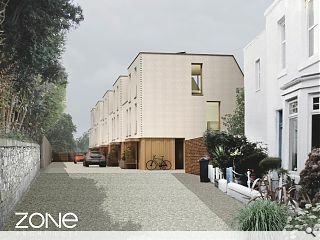 In a statement the architects said: “The five new houses have been designed to maximise the potential of the site on a quiet lane in north Trinity. 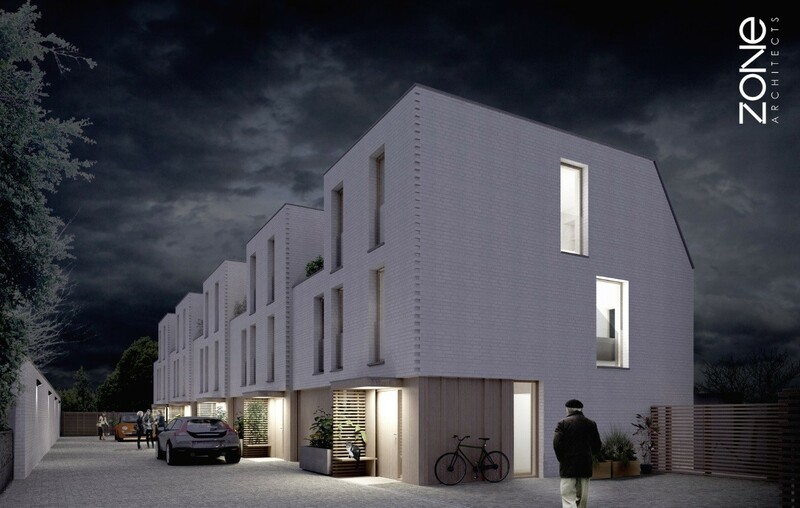 With three bedrooms and two living rooms they will be spread over four floors with private gardens and roof terraces. 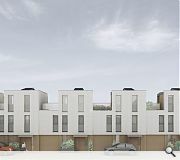 Objections to the proposal had centred on traffic issues arising from an increase in density, prompting councillors on the planning committee to initially refuse permission despite being recommended for approval by planning officials. Construction is now expected to get underway in 2017. These seem a pretty decent design. Nice take on the Edinburgh townhouse style. They are replacing a God-awful crumbling warehouse which looked pretty grim. Good knows why all the objections to this. The reactionary hatred of many locals to all architecture post Neville Chamberlain means they'd rather live next to a derelict shack. Bizarre mentality, but there you go. NIMBY is the ell known acronym for resisting change, post Ridley of course, a bit after Chamberlain. However there is also NOTE and BANANA which can be used by the Resistance. So you can all sleep at night, Not over their either and Build absolutely nothing anywhere near anyone. Lovely scheme, any plans of this? 3 Points: "But hey, at least thur no pastiche." 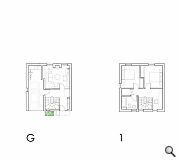 4 Points: "unapologetically modern" concrete and gless boxes"
6 Points: "bohemian-hipster types sitting on rugs"
"when will ye lefties learn"
Hi Rambo - I've now uploaded floor plans for the development. 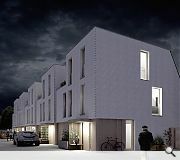 A great looking development, I'd buy one if I lived in Edinburgh. That living space on the ground floor is really small and pointless. Expect an extension onto the patio to have a larger kitchen dinner. Not a lot of character to the façade not that it'll be seen by many. 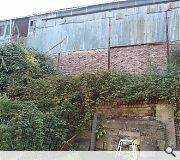 I'm guessing access into the site for residents and during construction was an issue which isn't shown in these images.